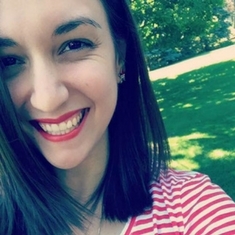 Normally I wouldn't write up a post like this, but after the incredible customer service I received from INM Nails, I couldn't contain myself and had to share my experience. 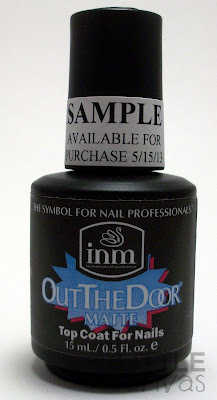 As many of you know, I primarily use Out the Door fast drying top coat on my nail art, which is made by INM Nails. When I started this blog, I was using a slow drying top coat, which in the end always caused me to ruin my art and it upset me so much. I went onto Twitter and asked everyone what they used. I quickly found that people either used Seche Vite or Out the Door. After reading about shrinking problems and the lovely cancer warning on the back of SV, I decided to purchase a bottle of Out the Door. I headed on over to my local Sally Beauty Supply and picked up a small bottle. Boy, was I impressed right from the get go. I used the whole bottle up, pretty much right to the bottom since it turned goopy when there was a teeny tiny little bit of polish still in the bottle. No loss, no need to thin, it was done and gone. I took a leap and purchased the round 73ml bottle. I was apprehensive and scared that it would turn goopy. It's May now, I purchased the bottle in November, it's over half gone and it's still workable with NO need for thinner. After being sick and tired of the smell and dry time of China Glaze's Fairy Dust holo glitter, I started searching for alternatives. 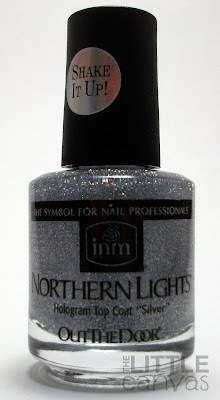 I saw that Cristina of LTHP always was using Northern Lights holo top coat on her manicures. I asked her a few questions regarding the product and was sold. Words cannot describe my love for that holo top coat, especially since it dries fast and my gradients, polish, designs, whatever doesn't get smudged or ruined like they did with Fairy Dust. Now Fairy Dust is not a bad product, it got the job done, but the smell, for me, was just awful and the dry time was something I couldn't stand. 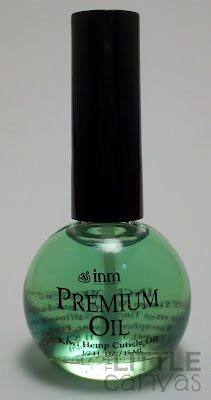 Now, onto why I really love INM Nails. After using my Northern Lights twice, I ran into a bit of a problem. Polish was literally dripping out of the cap onto my hands and the table when I was trying to apply it to my nail. When I screwed the cap on, the polish would ooze out of the top and all over everything. My bottle was a mess. I didn't want to attempt to clean it because I was scared that if I left the bottle open for too long, the polish would get goopy since it is a fast dry polish. I was so embarrassed and couldn't bring myself to bring this drippy, oozy, destroyed bottle back to Sally Beauty. I did a quick Google search and found INMs website. I decided to send an e-mail through their contact page stating the problem and see what they had to say. Now, I wasn't expecting a fast response, actually I wasn't even sure if I would get a response at all. Literally, I kid you not, ten minutes later I received an e-mail from one of the INM managers stating that I must have had a defective cap/bottle. She asked for my address and stated that she would send me a replacement bottle, and a few other goodies as well. I wrote her back, gave her my address, and waited. I figured I'd receive my replacement Northern Lights and some other top coat. Instead, I received all of this below. First off is my replacement bottle of INM Northern Lights. Now, the FedEx person was kind of rough with the package, so the bottle was kind of shaken up already so I just completely shook it. When the glitter is totally settled, it looks like a normal bottle of top coat, but when you shake it up, it turns into holo-glitter goodness. Next is a new product from Out the Door, their matte top coat! I am so excited to try this out. I use NYC Matte Me Crazy, and always half way through the bottle the polish gets so goopy, it's unusable It also takes a bit to dry, and that kind of annoys me. I cannot wait to see the dry time on this and the wear! As you can see from the picture, this product is available as of May 15th, so I'm guessing you will be able to purchase it from Sally Beauty in the near future. Cuticle oil!! This is Kiwi-Hemp cuticle oil and it has a rather decent smell. I've never used a cuticle oil before (shocker you can tell my cuticles are gross). I'll try it, see how it goes. COLORS!!! 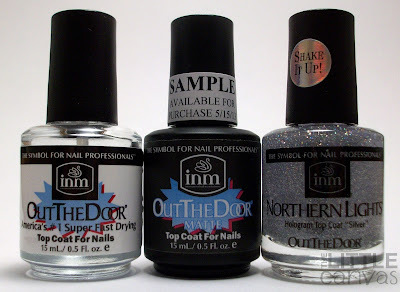 Who knew that INM had nail lacquers?? I sure as hell didnt!!! The yellow is called El Sol and the pink is Bikini. El Sol is not a flat yellow, it has gold shimmer to it which makes it unique to other yellow polishes I own. It will make for some pretty floral nails. I'm really digging Bikini, it's hot pink cream which I'm sure is going to be pretty on the nail. The final goodies...INM Nature's PediCure. 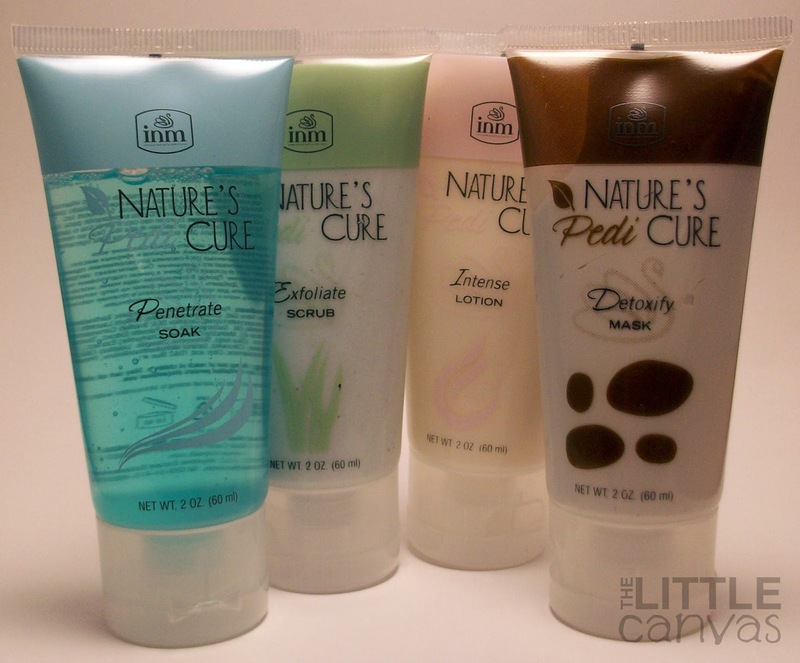 There is a Penetrate Soap, Exfoliate Scrub, Intense Lotion, and Detoxify Mask. At this moment, I haven't really read the directions on the back since at this current moment I'm all giddy from the amount of product they sent me. I again, cannot state enough, how super impressed I am with INM for their fast customer service, and that they sent me all of this. I love their product, and never have been disappointed until the polish was oozing everywhere. How kind they were in sending me not only the replacement bottle, but everything else is still leaving me in shock. You don't see this much from companies now a days, so when you do, you embrace it and have to thank them. My way of thanking them was through this post and sharing my experience. I cannot wait to use these products and tell you all how I like them. Seriously, this matte top coat I'm dying to use. Wow this is a long post, I should stop babbling now. Have a good one <3. May Nail Artist of the Month!